National Health Center Week celebrates and raises awareness for the mission and accomplishments of America’s health centers. 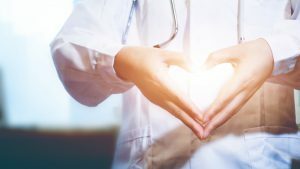 Community Health Centers are the key to community health and represent a great opportunity in America’s healthcare system, serving more than 25 million Americans, a number that continues to grow along with the demand for affordable primary care. They not only prevent illness and foster wellness in the most challenging populations, they produce innovative solutions to the most pressing healthcare issues in their communities. 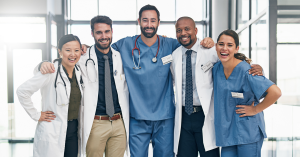 For most of these Community Health Centers, it is a top priority to hire the right physicians and advanced practice providers who will fit and thrive in their communities. This task no doubt takes a certain level of skill, dedication and persistence by the teams that support these underserved urban and rural neighborhoods across the country. Almost all health centers (95%) are experiencing at least one clinical vacancy today. More than two-thirds (69%) of CHCs and FQHCs indicate that they are currently recruiting for at least one family physician. A great example of this skill, dedication, and persistence is Peak Vista Community Health Centers. Shaun Urbanazo, Director of Recruiting, is fully committed to the transparent recruitment process, highlighted by continuous communication and strong rapport with candidates. They’ve worked hard to build a successful recruitment program with placements of well-qualified and well-fitting physicians and advanced practitioners, even in their most remote communities. Workforce challenges are one of the primary barriers to health center patient growth. If all CHC and FQHC clinical vacancies were filled today, health centers could serve 2 million more patients – and that is not just a number. Your neighbors, your children’s classmates and teachers, your coworkers and friends — all of us — directly or indirectly benefit from the services that Community Health Centers make to the health and vibrancy of our communities. There is a high cost of failure to provide primary care and preventive health, but also tremendous benefits when we succeed. We join with our friends and colleagues at Community Health Centers across the country to be an accountable partner in the successful recruitment and retention of providers in their communities. Contact us to learn about our success with filling searches for CHCs and FQHCs.